Clutch is known as one of the most trusted platforms providing foolproof reviews about IT solutions development companies. You might also be interested in clutch.co alternatives to promote awareness about your company. We have selected the most popular websites that give users the similar opportunities for promotion. What or Who Is Clutch? How do you search for business partners, providers, executives, etc.? Frequently, people browse websites with poor reviews, sponsored articles, or even invited papers. We can rarely rely on someone’s recommendation or piece of advice. Clutch enterprise has introduced a revolutionary approach in selecting right partnerships. 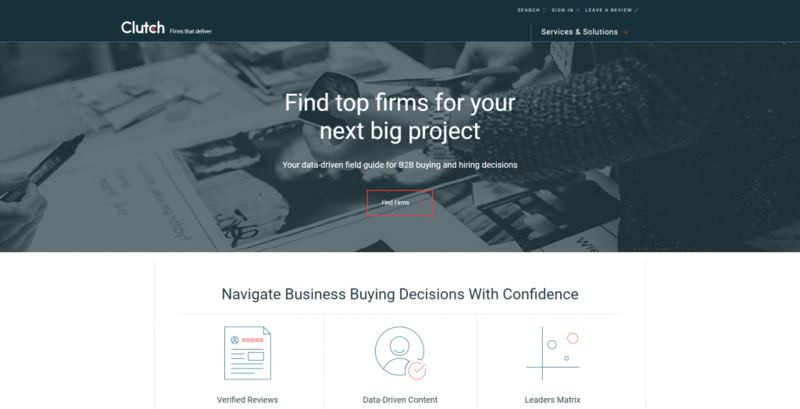 It’s a perfect place to find relevant information about your potential clients or contractors. All data is organized properly so you can rest assured that you will be able to read every single review or survey about a company you are interested in. The company is aimed at gathering information about information and communication tech companies all over the globe. We conducted our research to learn why lots of agencies strive for getting listed there. Each category has a list of subcategories that include the services you may need, more specific and precise. Once you click on one of the subcategories you will see a list of companies offering the services you need. With this brief data, you will get acquainted with the company. To learn more you have to look through the entire review that may include a portfolio, a distribution of services and clients, and customer reviews. 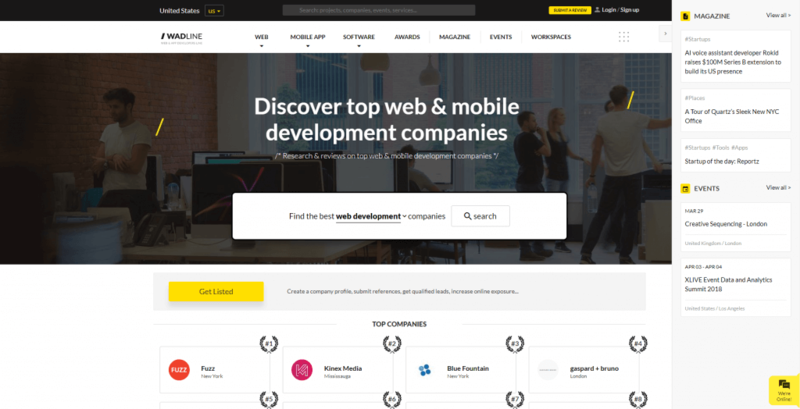 How to Choose a Software Development Company on Clutch? The reviews of clients give the complete understanding of how good a company is to tackle your tasks. The reviews can be sorted by relevance, rating, or date. Any person signed up to the platform can leave a review online or over the phone. Your review will describe the project developed by a firm under review. You will be able to provide the name, type, industry, and other details about the project. Based on these valuable reviews other buyers will decide who to hire. How to Get Listed on Clutch? Clutch is a perfect chance for companies to burn across the Internet, to become trusted, and get new partners. Here is a simple procedure how to get on clutch co.
Set up your profile. You must be sure that the information provided in your LinkedIn company’s profile is accurate. Once this information is reviewed by the analyst of Clutch, the profile will be published. Submit up to 5 references from your clients. Your customers can submit a written review or call and leave a review by phone. More precise information is on site. Why Might You Need Clutch co Competitors? 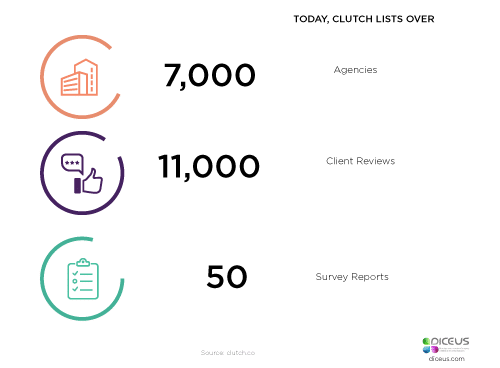 Finding clutch.co alternatives is good if you want to get listed on more sources offering a bunch of feedbacks and reviews for people selecting candidates for recruiting. We searched for those sources to offer you structured and organized information about the alternatives to Clutch. Related Article: How to Handle the Change of Outsourcing Provider? You will have to leave your email and phone as well. VenturePact is another way to make a name for your company. This platform offers not only reviews but also some agile tools for project management and time tracking. 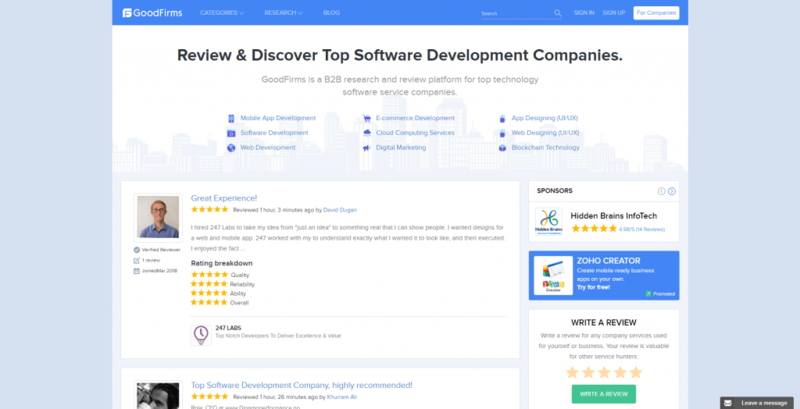 Clients can order code reviews also. 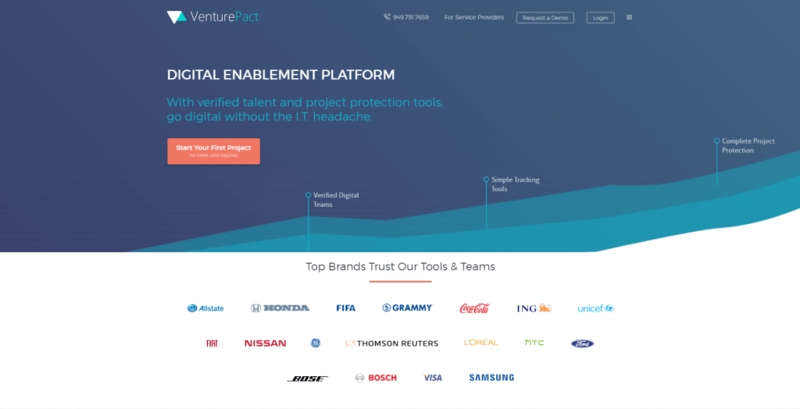 If we compare and contrast VenturePact and Clutch we will see one evident difference between the sources. Clutch is clear and simple offering unbiased reviews. VenturePact is complicated offering their own services except for reviews on providers. 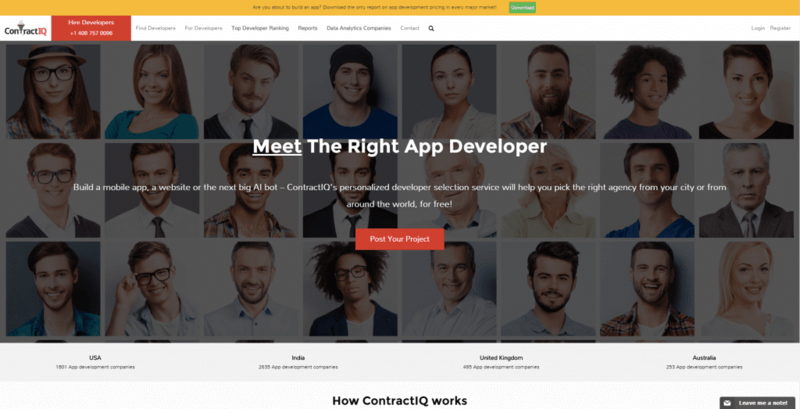 ContractIQ, unlike Clutch, offers only listings of app developers categorized by technology, industry, location, services, and a number of team members. Here you can find profiles of companies containing brief descriptions, number of employees, technologies that a company uses, etc. Besides, each company can state the engagement model and average hourly rates, the latter being of great importance for customers. GoodFirms is a great selection of firms offering services in traditional and innovative IT sectors including blockchain technologies. This platform offers also a certain number of valuable research reports and surveys that describe the current condition of IT market. The same as on Clutch, on GoodFirms you can look through the companies in different countries of the world. Besides, they have a blog where you can read the articles on IT relative topics. To write a review as on Clutch.co, Glassdoor is another perfect place. Glassdoor is more about jobs and salaries. Unlike Clutch, it offers less information about companies focusing more on open vacancies and rates in the IT sphere. As you see, there’re lots of options to try if you want to select a team or promote your services on the Internet. Unbiased and transparent information about services can help others make their choice. Be honest, provide fair comments to enrich the pool of reviews with trustworthy data.